A Windows update inadvertently kept a hospital patient knocked out mid-examination while the PC sorted itself out. A machine over at Østfold hospital in Norway forced an auto-update at a particularly bad time – midway through a patient examination – and the medical staff were forced to keep the patient under anaesthesia for one hour longer than necessary. There was no available backup PC with the correct software installed to continue with the procedure during the whole affair, meaning the hospital staff, and unwitting patient, were forced to wait it out. By the time the PC was fully-updated and ready to go with the latest Timeline and Focus Assist features, the procedure was already a wash.
Luckily, the patient wasn’t undergoing any serious or emergency treatment at the time when Windows decided a critical update was necessary, and woke up totally unphased by the update debacle. However, applying anaesthesia for longer periods of time than necessary can be a dangerous practice in itself, so the hospital has carried out measures to ensure that this event can never happen again. The update procedure has now been itself updated, reports Norwegian press, so no PCs operating as medical devices, or connected to them, can restart automatically at inopportune times. The PC updates must be administered manually from now on by internal IT staff at the hospital. Update procedures should have been set in stone long before an event such as this one ever occurred, however, spurring questions into why it was able to happen in the first place. 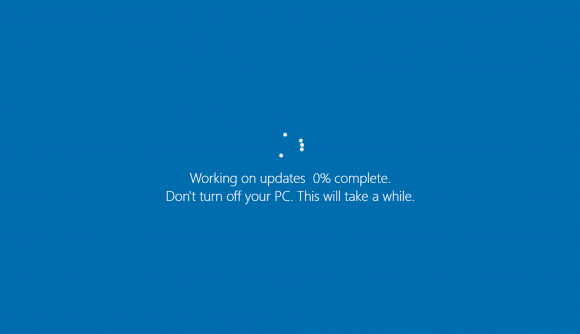 Specifically, the PC should never have been able to connect to the internet, or be left on an old Windows build for such a time that it forced the update cycle to run regardless of user input. Østfold hospital was reportedly picked as one of the best for use of new technology in treatment across the whole of Europe, so this one unfortunate event has to be quite embarrassing for the institution – not to mention there could have been serious consequences. All in all this event, thankfully with a non-lethal ending, just goes to show the importance of a dedicated, professional IT department.